UPC Business Review 2019: Is UPC Business a Good Hosting? UPC Business is based in Romania and offers both web hosting and website builder. With their hosting, you receive access to a cPanel where you can manage your sites, files and email accounts etc. You also receive FTP access along with an FTP manager. You not only get unlimited bandwidth but also unlimited subdomains and unlimited email addresses. Antispam and Antivirus are integrated into your hosting package and backups are created on a daily basis. With a 99.9% uptime, it all culminates in safe and secure web experience both for you and your visitors. 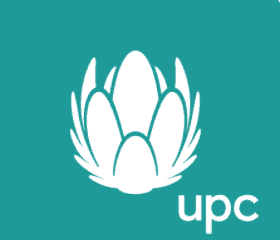 In addition to the hosting, UPC also offers a website builder. It features more than thousand templates dedicated to over 80 different business areas. All you have to do is browse the templates in your business niche and choose the one that suits you. Using the tool is easy and allows you to create blogs as well as online shops with ease. Content management is efficient, especially with the possibility to add content from Youtube, Picasa, Flickr and Yahoo Maps. You can use the tool in many languages including English and Romanian. To get more details about their packages and pricing, you can get in touch with them by phone or email. Wondering how UPC Business stacks up against other Web Hosting companies? Enter any other Web Hosting company and we will give you a side-by-side comparison.